I imagine that Ben Lytal is living a particularly satisfying life. 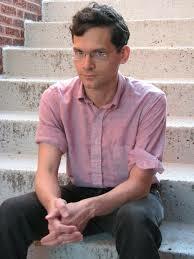 His first novel, A Map of Tulsa, was published by Penguin in April and was critically well-reviewed (links below!). A Harvard grad, his back-of-the-book blurb says he’s written for The Wall Street Journal, the London Review of Books, the LA Times, Bookforum, McSweeney’s, The Daily Beast, and The Nation, and that’s just a partial list, because I also happen to know that he’s written for The Paris Review and The New Yorker. He wrote as a student, also: here’s his review of 1999 review of Mariah Careys’ Rainbow in the Harvard Crimson for fun. He has balanced writing with teaching; here in Chicago, he’s an instructor with the University of Chicago’s Graham School. As one of his students, I can attest that Ben’s funny, likable, well-spoken and smart. The book jacket photo doesn’t do him justice. Still, doing what you love and early success doesn’t guarantee that your book will be any good. So it was with bated breath that I read A Map of Tulsa. What if it was terrible? Good news. It is not terrible. It is a finely written, interesting, and insightful coming of age story, set over two summers. Needless to say, he never forgets her. Adrienne is more than a girl to Jim, she is a lens through which he views his life. So it’s not surprising that he returns to Tulsa for the first time five years later, after receiving an email that Adrienne has been in a motorcycle accident. He arrives in the hospital and is immediately engulfed. Again, he sees a clear choice: stay with Adrienne and make a new life in Tulsa? Or leave her and Tulsa behind? And once again, the choice is an illusion. That’s the plot synopsis, but most of the action takes place not in the plot progression, but in Jim’s thoughts and observations, and his character growth across the time span. There is an engaging feeling of tristesse, and a rueful appreciation for missed opportunity. The language is lovely and occasionally painful in its honesty. Jim Praley’s voice in the book sounds very much like Ben speaks. Like Ben, the Jim travels from Tulsa to Boston to New York. And of course, any debut novel is likely to draw heavily on personal experience. And so the question of autobiography is raised. In an interview (NYT Artsbeat Q&A), Ben calls the story a fantasy, but admits that Jim’s desire to spurn New York is one he shares. Still, what an author writes can be very revealing. I think the reader is safe in assuming that Benjamin Lytal was, like Jim Praley, a sensitive, thoughtful, and a bit fish-out-of-water young adult. More of Ben’s thoughts can be found in his comments on writing A Map of Tulsa in The Paris Review. 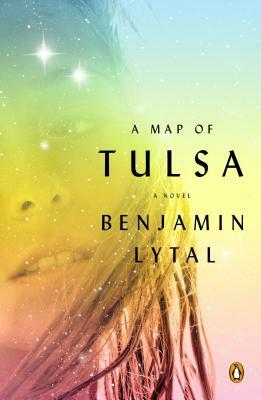 This entry was posted in Commentary, Review and tagged A Map of Tulsa, Benjamin Lytal, Review. Bookmark the permalink.